We believe in supporting the educational needs of young people to achieve their full potential in life. Many of the young people we work with live on the streets, have committed crimes or simply been denied the right to quality education. We work with partners who can provide a stable environment to support their educational needs, but also their wider physical and mental wellbeing. In Delhi an estimated 30% of inhabitants live in slums. Government schools are being used beyond full capacity and demand for good schooling is not being met. 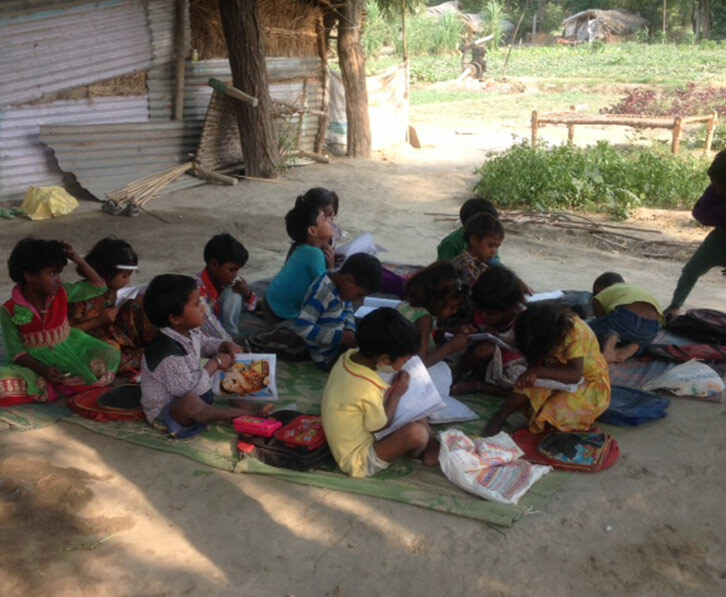 In Bihar, approximately 60% of girls are illiterate. In Mumbai remand homes, only a minority of students have had any formal education as most have just learnt how to survive on the streets. Yet with the right support systems, these young people have the option to thrive and fulfil their potential. Our education projects focus in areas where illiteracy rates are high and young people are vulnerable to missing out on their right to quality education. We’ve made sure targeted counselling support is delivered to adolescent boys in Mumbai, supported extra education provision for children living in the slums of Delhi and helped young girls embark on a four-year optometry diploma. In Bihar, 75% of girls are married before the age of 18 but given the chance, many would choose instead to complete and further their education to forge a successful career. For the girls of Bihar, this lifeline comes in the form of The Akhand Jyoti Eye Hospital optometry training programme, a project we are extremely proud to support. Local village girls are given the opportunity to study optometry at the hospital under the proviso that their family agree they must not be married before the age of 21. This enables the girls to pursue their studies with no obligations other than to their course and to themselves. Alongside the diploma, an inspirational football initiative has developed whereby the girls can take part and be trained by a professional football coach. In an area where women are marginalised and child marriage is the norm, these girls have an opportunity for independence and through sport, they’ve been given the chance to be liberated from cultural gender limitations. Many have gone into the selected to play for their country. Once the girls graduate they are employed by AJEH, fostering a reciprocal relationship as the hospital invests in human resources from the local community. When girls become wage earners, their respect within the community increases and they are given more of a voice. Local girls become role models, leading the mission to eradicate curable blindness. Nearly 1.8 million people live in slum areas of Delhi. For the thousands of children, education is not often high on their list of priorities. Some will be registered to attend government schools where classrooms are often at full capacity and educational attainment is low. Forced to rely on extra tuition beyond their means, students will inevitably drop out of school and the likelihood of returning to school is slim. We’re working with a fantastic community project called Project Why who provide pre and post school tuition to the slum children in and around Delhi. For those not yet registered for government schools, programs are in place to ensure they get the correct documentation in place, securing a brighter future. They strive to provide a second home to children; a space where they can express their feelings, share their problems and fulfil their potential. Back in 1999 on the request of a friend, Mr Waney visited The David Sassoon Industrial School (DSIS) in Mumbai. He was shocked to meet so many boys shut away from the world, many having committed minor crimes or been victims of childhood abuse, whilst others had been orphaned and lost their way on the streets. 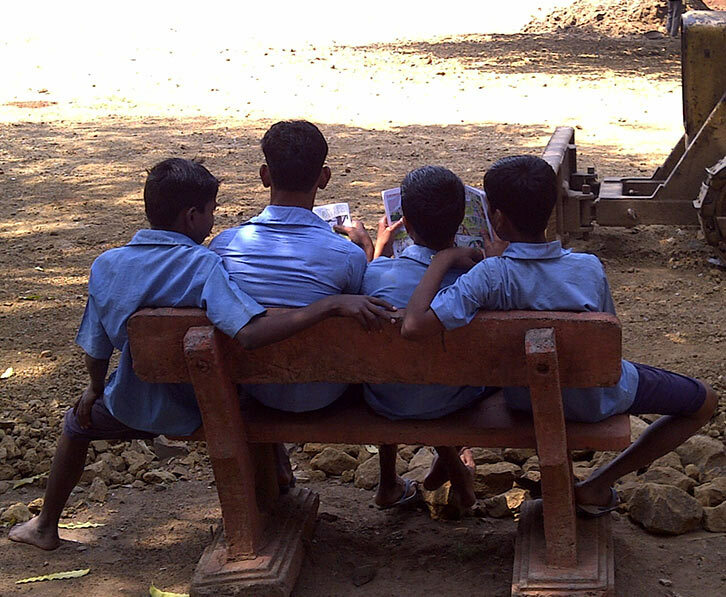 Isolated and disconnected from the outside world, the school seeks to provide a safe and nurturing environment in which the boys can develop a future for themselves with opportunity and ambition. Counselling is the core component of our support to DSIS. Our focus has been to make sure rehabilitation and emotional and psychological support is provided to these boys, by a dedicated team of teachers and in-house psychologists who the boys can come to for advice. The change has been incredible. DSIS has become a place where boys have become confident, considerate and self-respecting individuals.